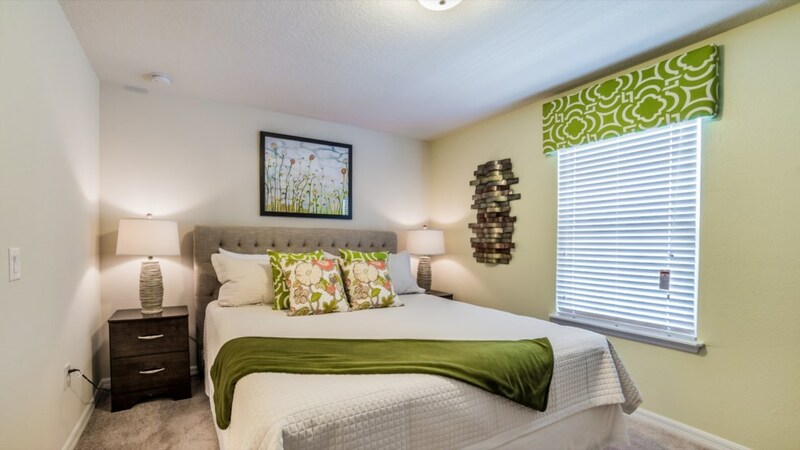 Welcome to this stunning vacation home built in 2016 and located in the heart of Windsor at Westside. 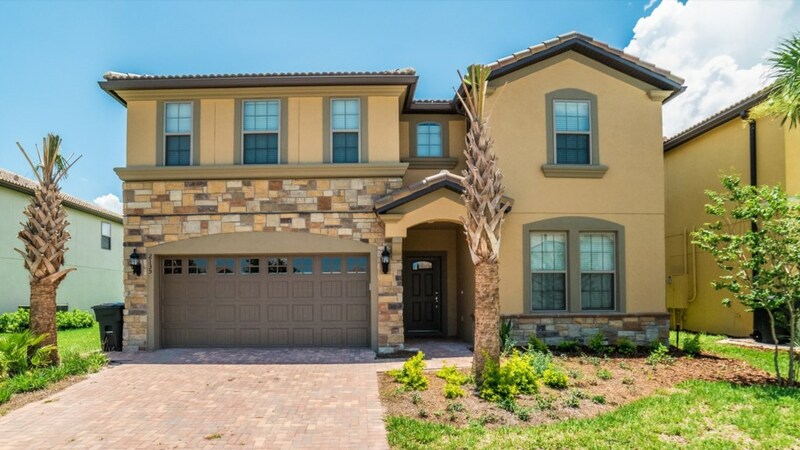 This incredible 9 bedroom, 6 bathroom home features luxurious finishes and beautiful features. 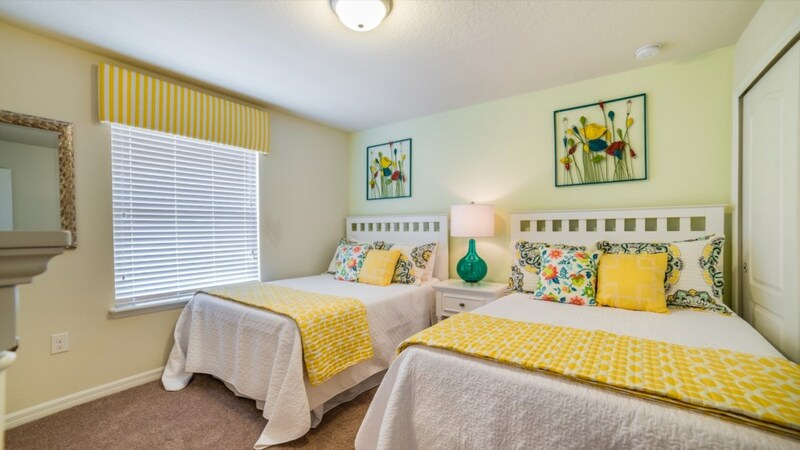 This home is a part of the Grand Collection, meaning it is professionally decorated and expertly designed for the enjoyment of our guests. 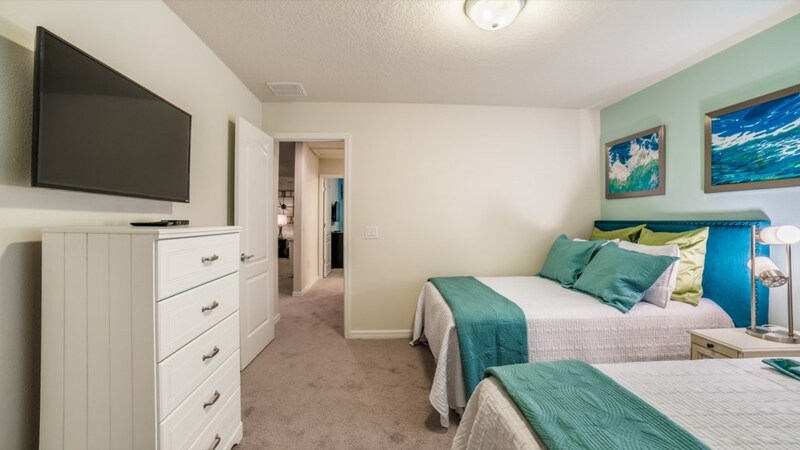 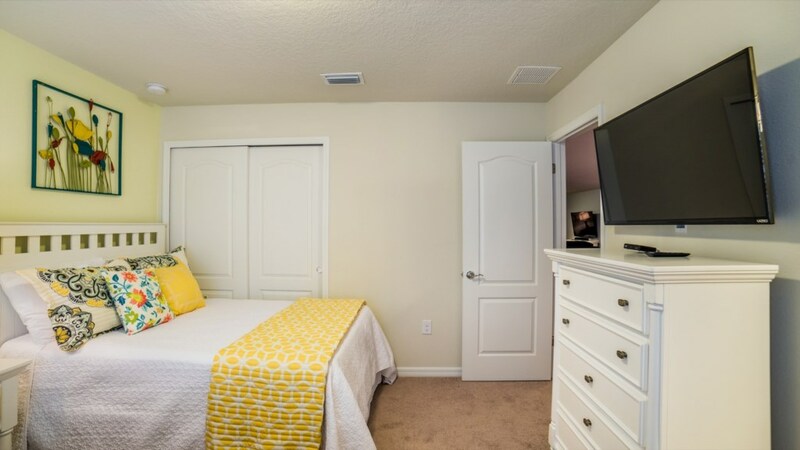 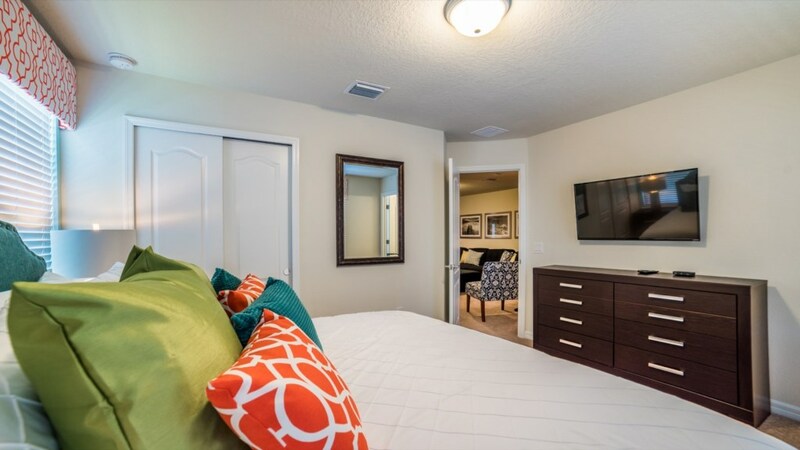 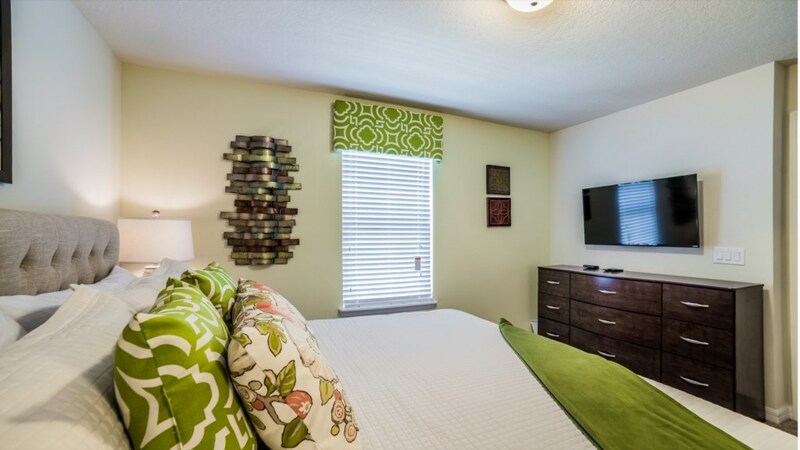 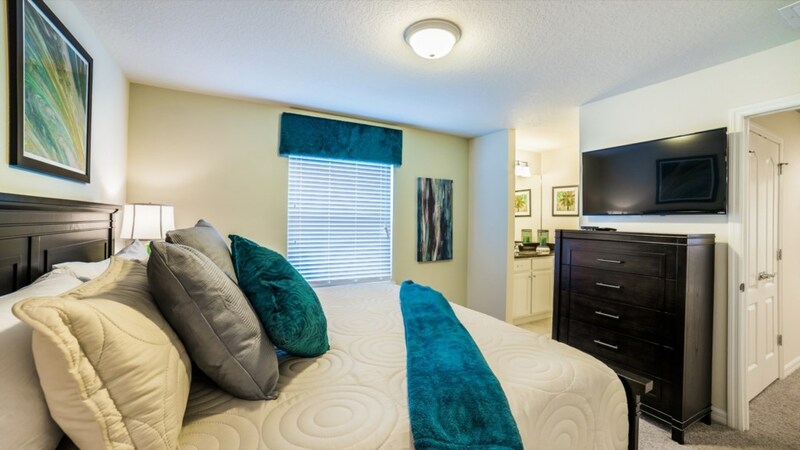 The bedroom configurations maximize comfort with a smart TV in each room, and include 4 king bedrooms, 2 bedrooms with full beds, 2 bedrooms with a full and a twin and lastly a room with 2 twin beds. 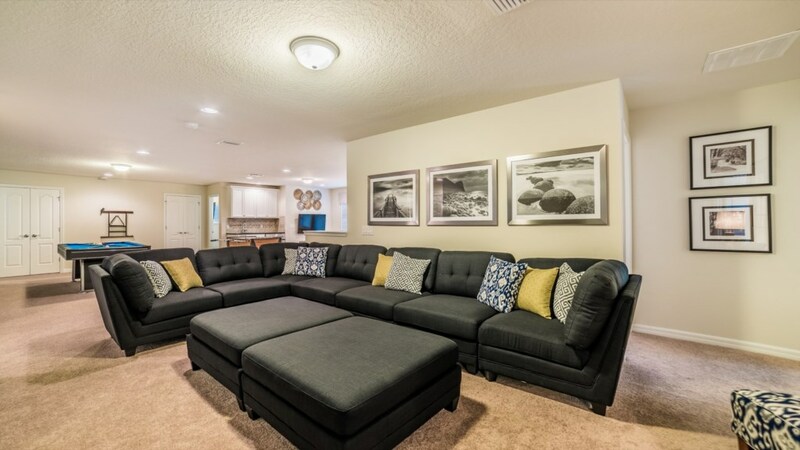 This being said, this expansive home sleeps up to 24 guests. 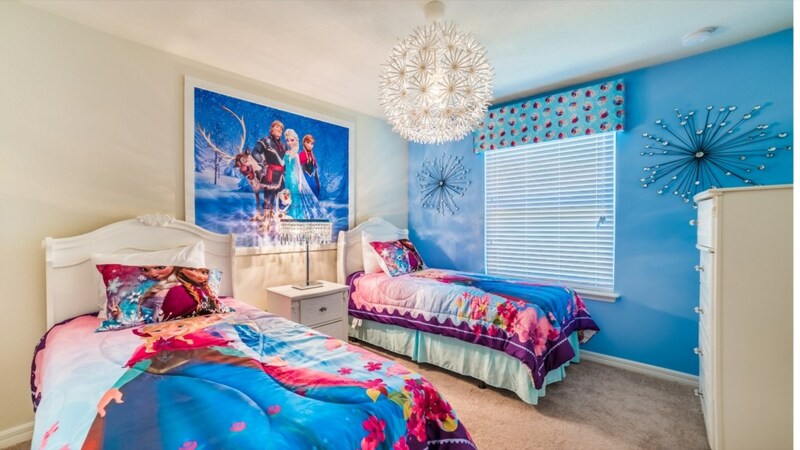 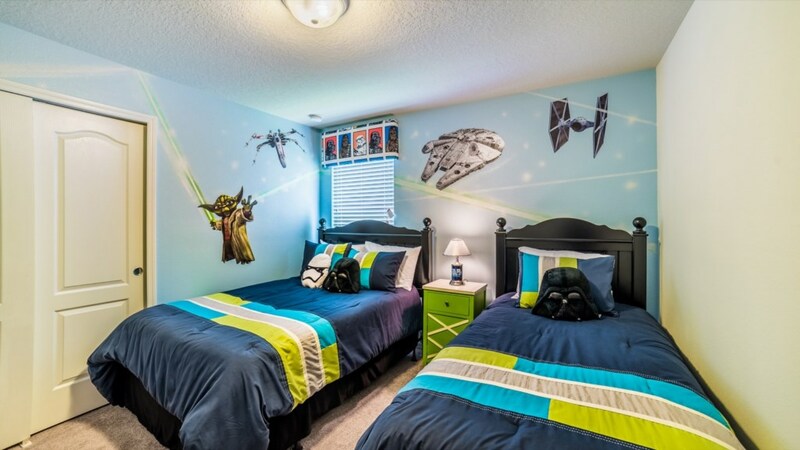 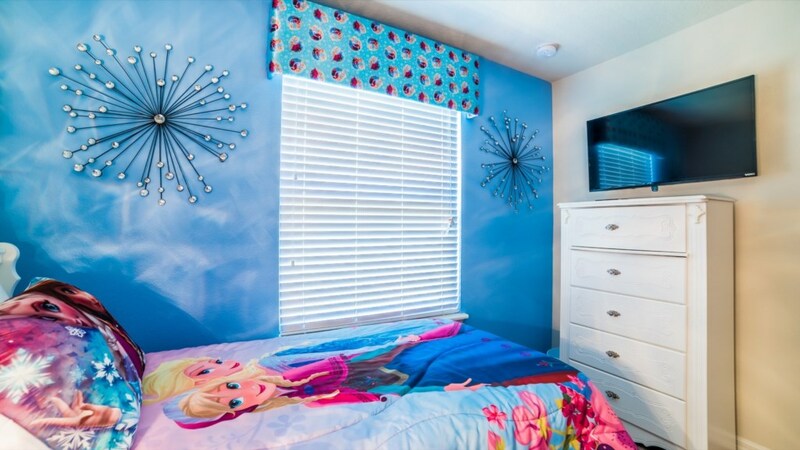 With one room having a Frozen theme and another with a Star Wars theme, even the little ones are sure to love it. 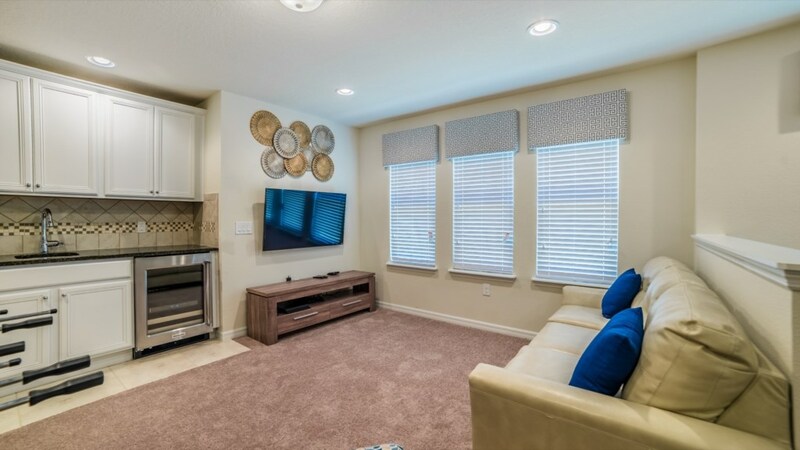 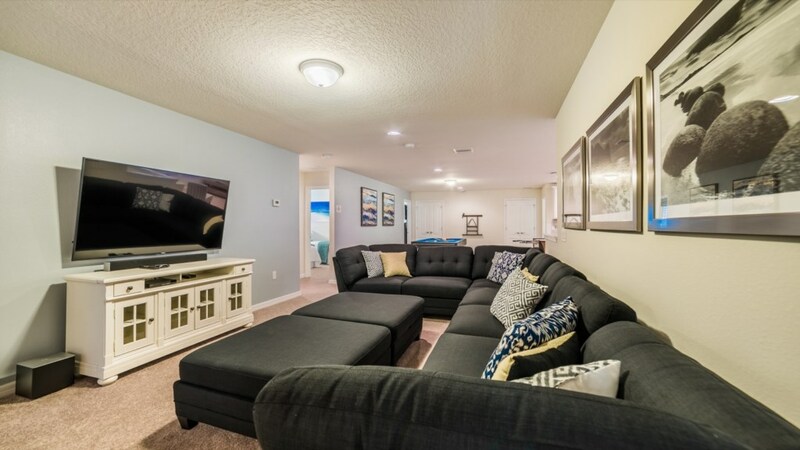 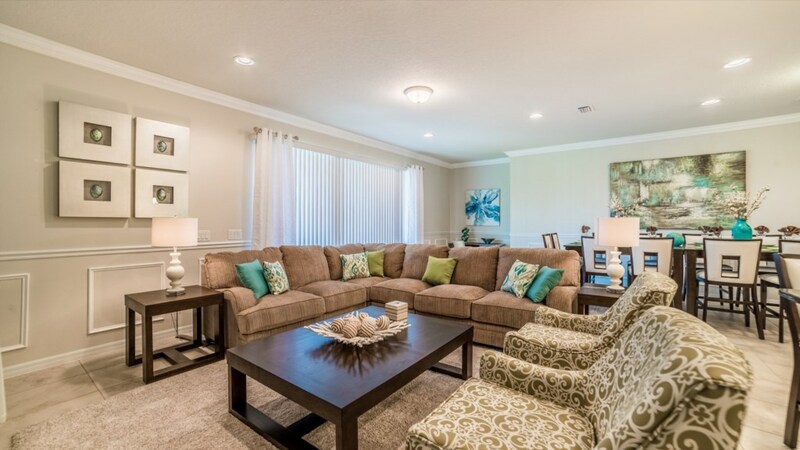 The lower level living room features a wraparound couch perfectly centered around a 55” flat screen smart TV. 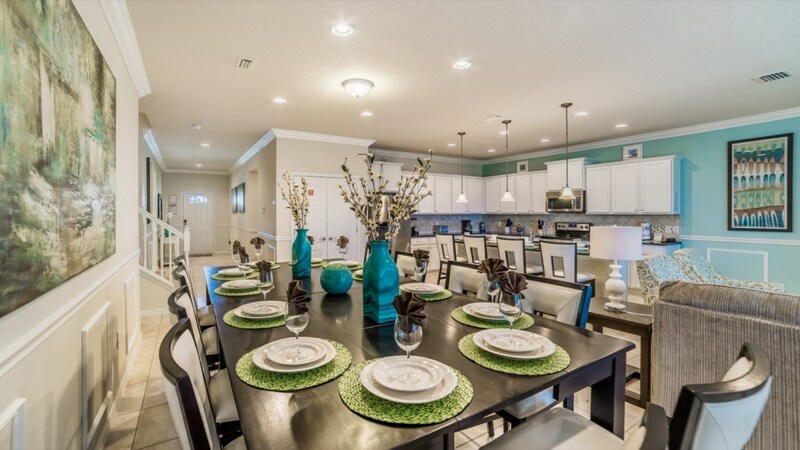 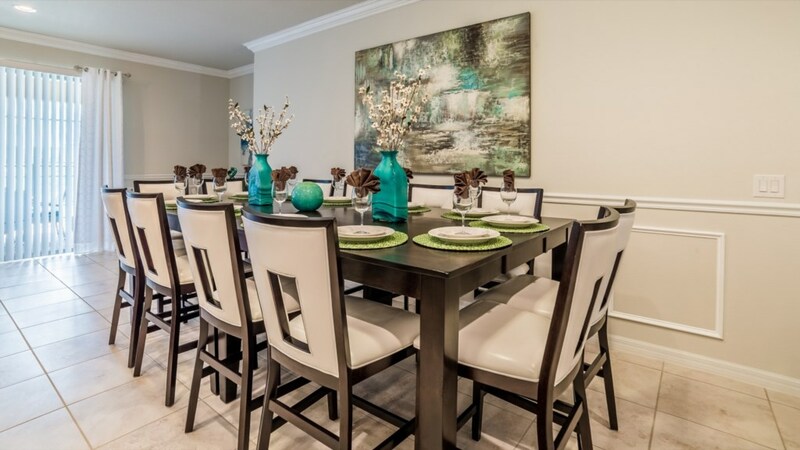 The magnificent kitchen is perfect for family meals. 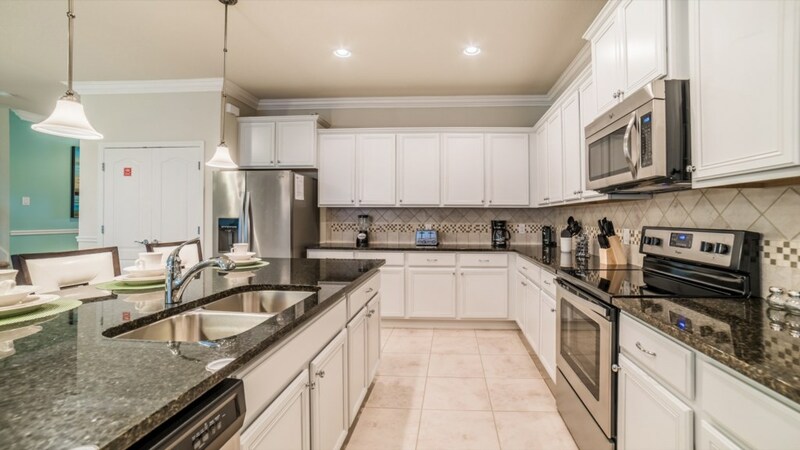 With upgraded appliances, stunning granite countertops and enough room for everyone, this kitchen has everything you want and need! 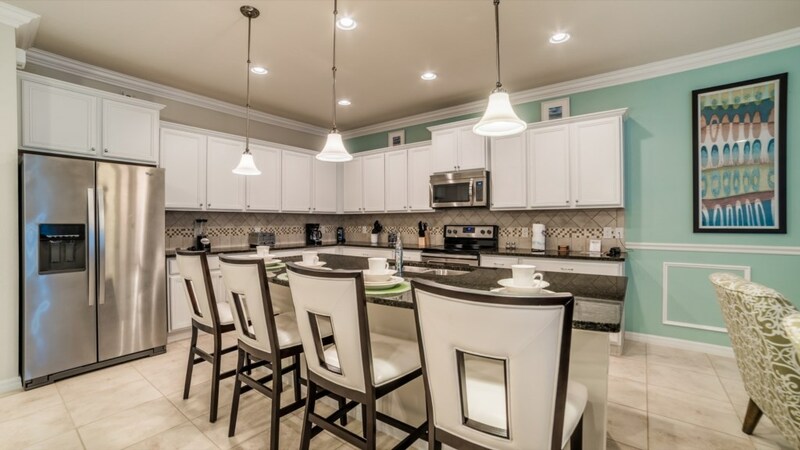 The kitchen also features a breakfast bar with 4 chairs which overlooks the large dining room table. 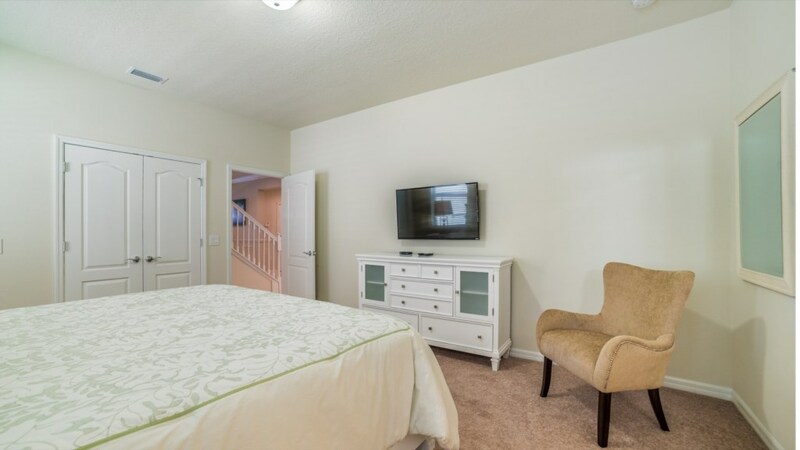 Head upstairs to the second living room which also has a wraparound couch and a 65” flat screen TV. 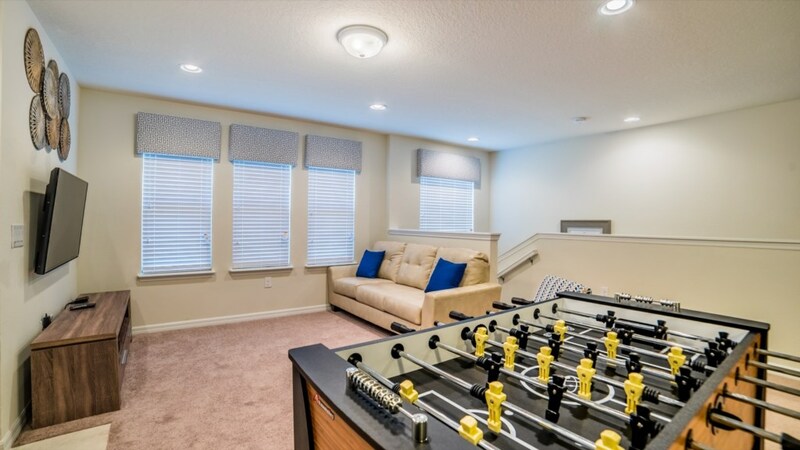 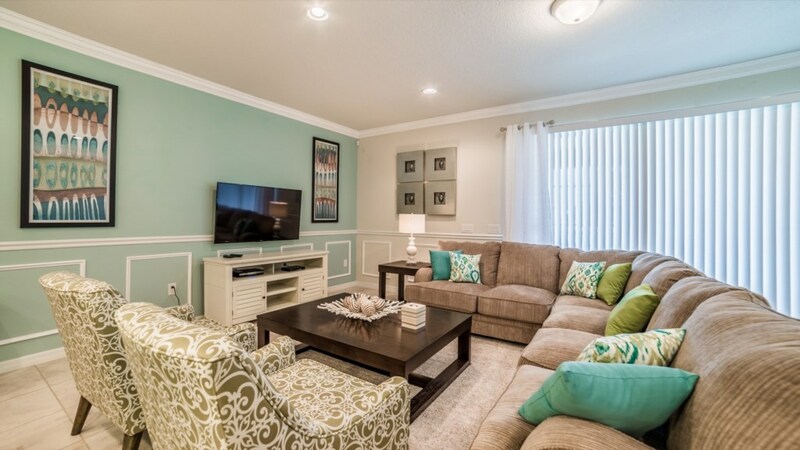 Play your favorite games on the PS4, foosball or billiards with the family in this home's very own game room. 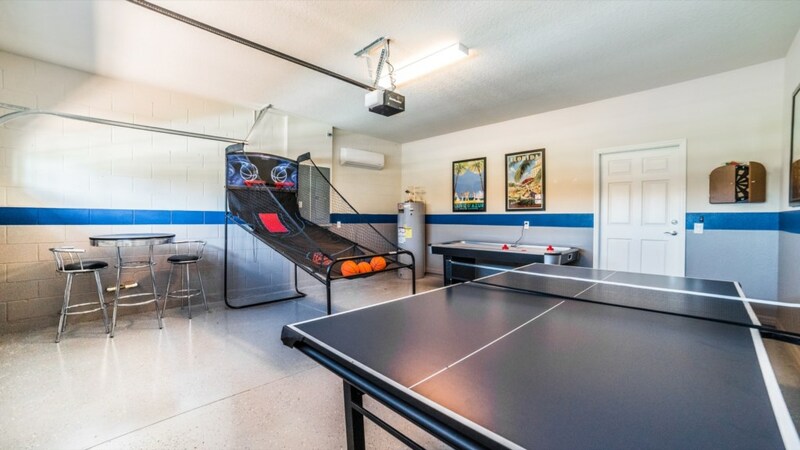 You can also head downstairs to the other game room with ping pong, basketball and air hockey. 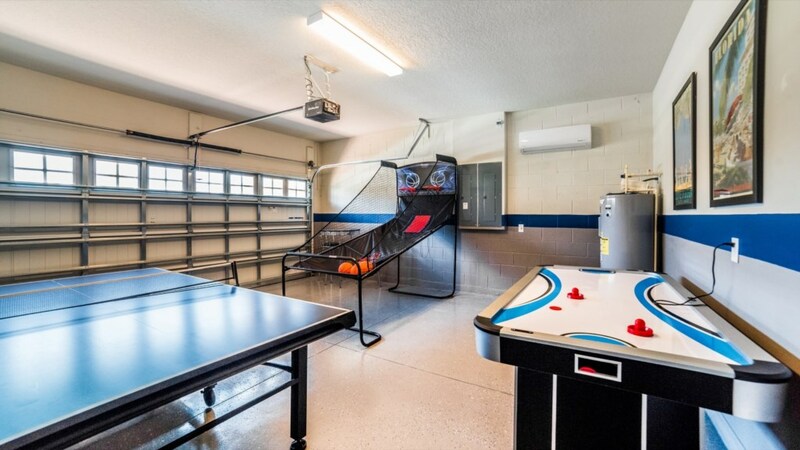 This home truly comes with endless entertainment. 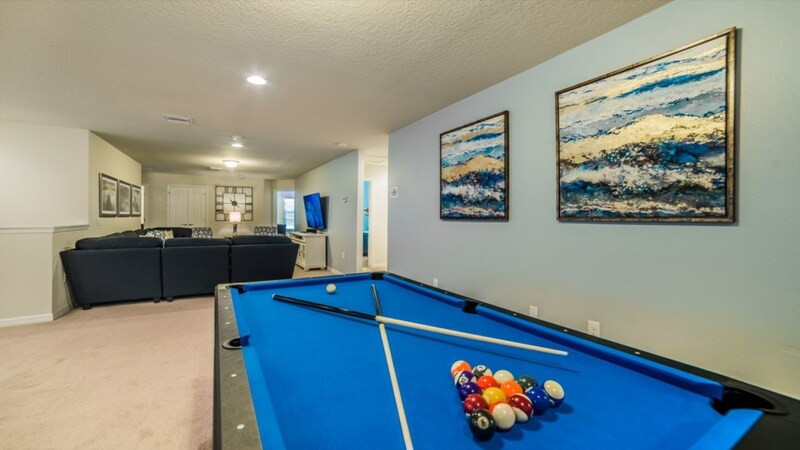 If that isn’t enough, this home also comes with its very own pool and spa. 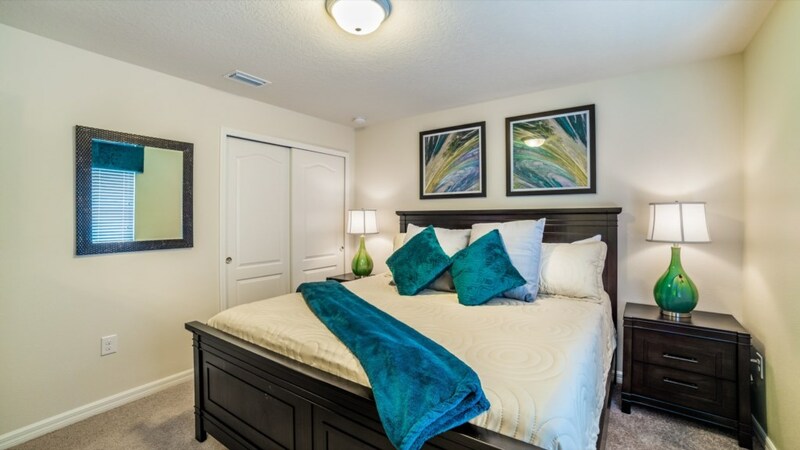 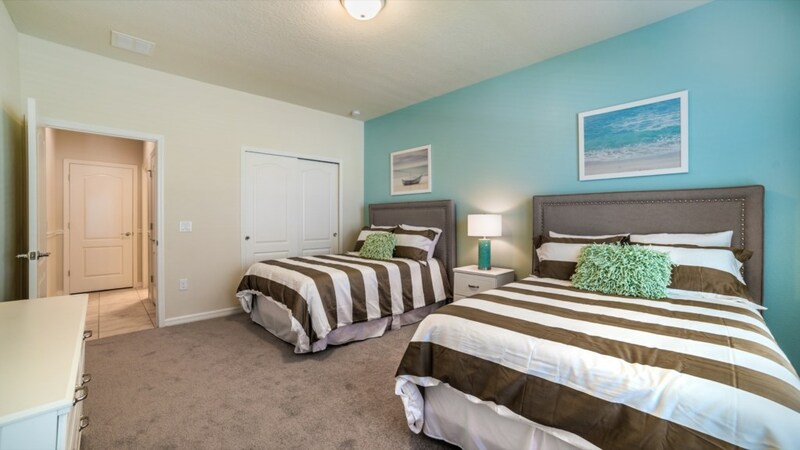 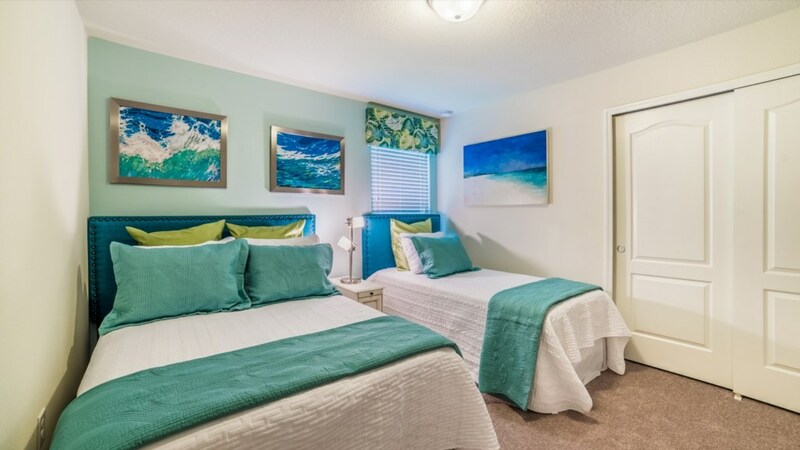 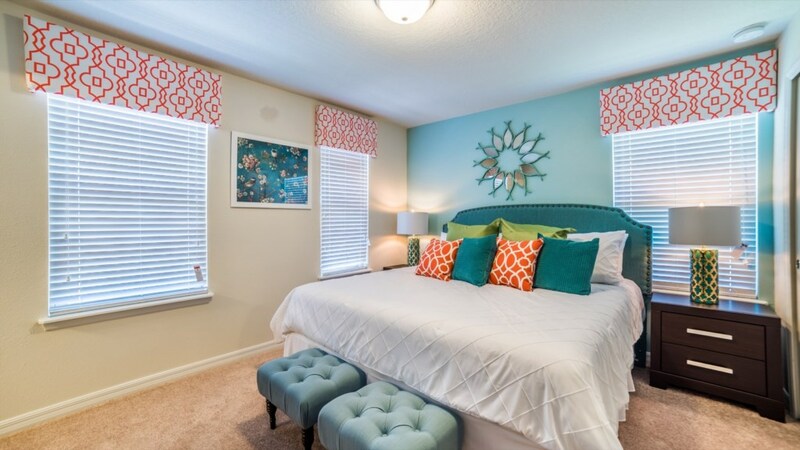 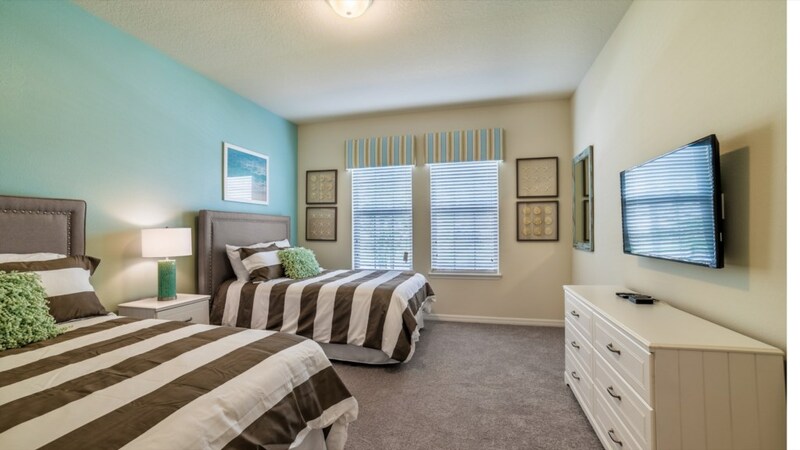 Lay out by the pool and enjoy the sun with this South facing home (sunlight all day)! 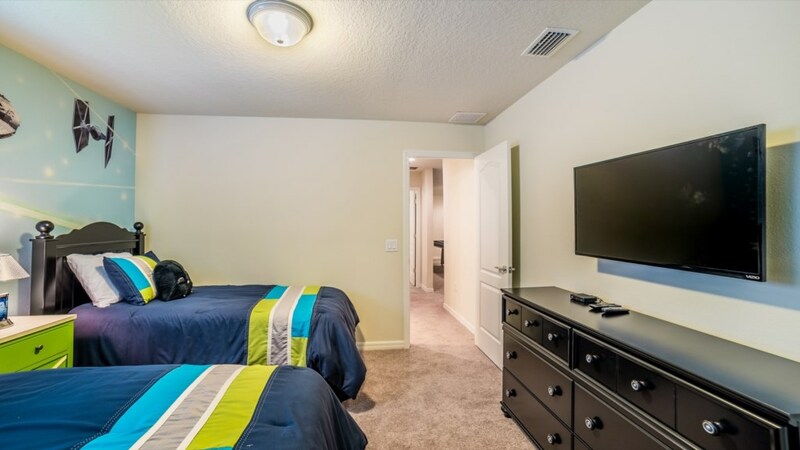 Staying here also means full access to the Windsor at Westside clubhouse which is only 300 yards away with a huge pool, lazy river and many sport courts, everyone is sure to find what they love. 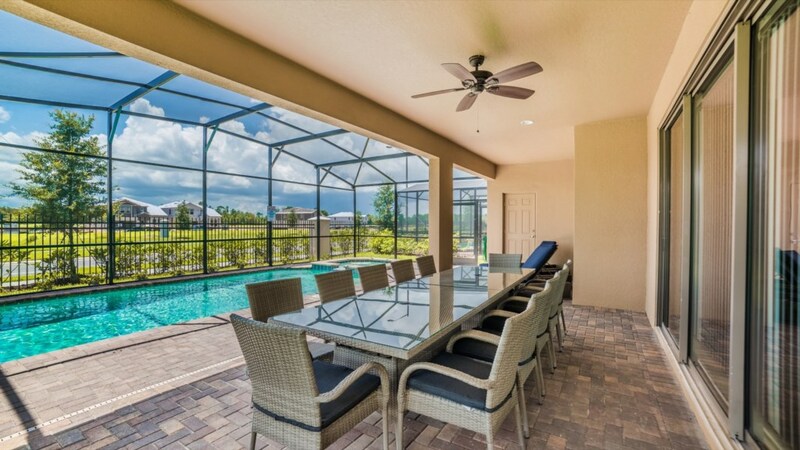 This gorgeous home and beautiful resort community are sure to please.